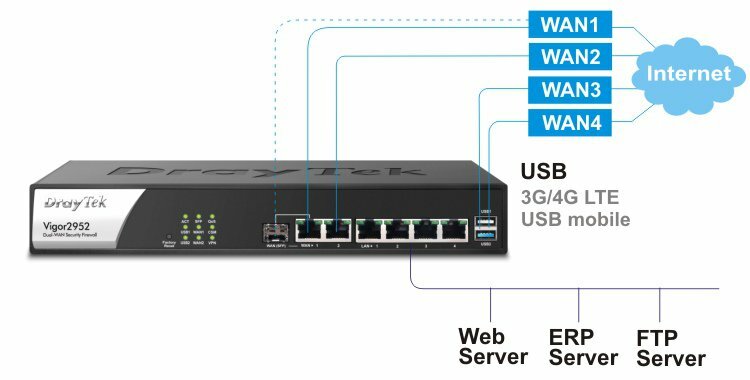 Vigor2952 Dual-WAN security firewall router is an enterprise level router designed for medium sized businesses that need strong business network features, including support of up to 100 VPN tunnels. The Vigor2952 router is fitted with 2 x Gigabit Ethernet WAN interfaces, with WAN 1 selectable as a SFP port for optic fibre module installation. The USB port 2 (USB2) for 3G/4G mobile dongles. 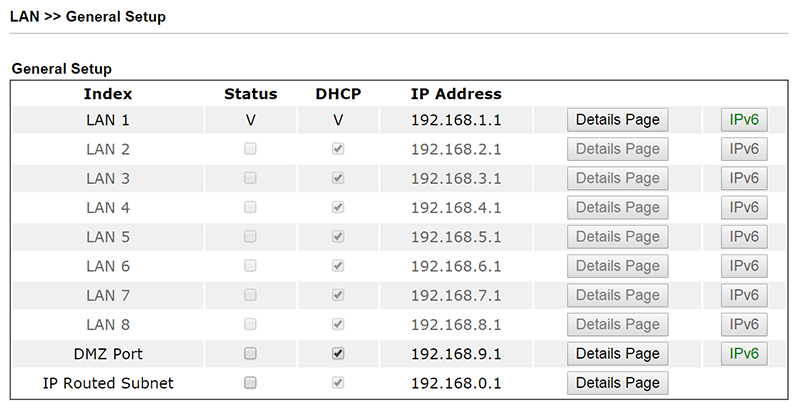 You can connect to the Internet through any of these interfaces, or with a combination of interfaces for Load Balance and/or Failover functions. For mission critical applications the Vigor2952 router can be used in High Availability mode, and be used in parallel with another router to provide uninterrupted network connectivity should one of the routers fails. Vigor2952 supports business grade network features including an object-oriented SPI (Stateful Packet Inspection) firewall, IPv6, 100 VPN tunnels, 50 SSL VPN tunnels, tag-based VLAN, multiple subnets, etc. The Vigor2952 series router can be rack mounted, using the supplied mounting brackets, into a standard 19” rack or cabinet. Routers may appear to be a dime a dozen in the consumer space. 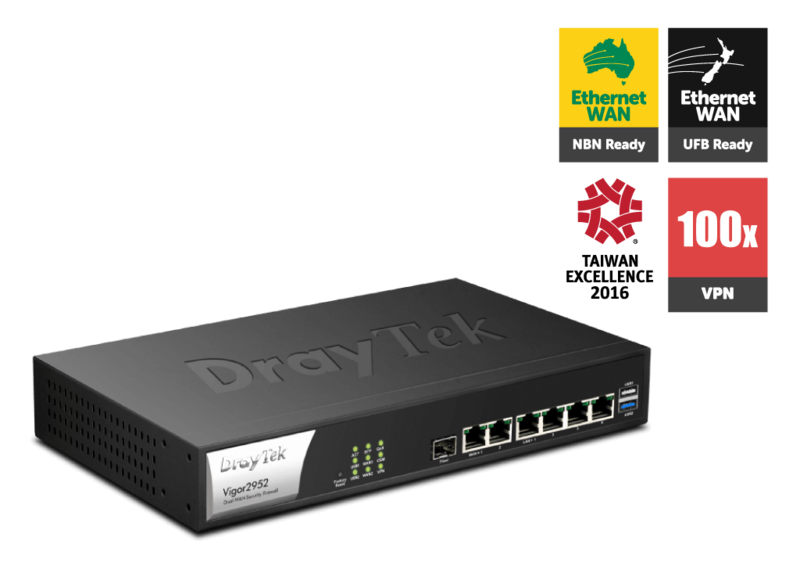 Many small businesses might be tempted with something like the excellent Linksys EA9500 with its fast WiFi and eight Ethernet ports, but it won’t be suited to many, advanced business needs. This is where you start needing to look at Draytek and, in particular, the Vigor 2952.